Anyone who lives in the Washington, DC area is well aware of the troubles with the aging metro system, which operates much like Boston’s T system. However, unlike in Boston, the subway stations are very deep underground and there are huge escalators to take passengers up and down at the stations. Unfortunately, they are rarely working, and this is one of the major concerns of residents and tourists. There have also been several incidents that made national news over the past several years. The 2009 train crash, which resulted in numerous deaths and many cases of serious personal injury, was one of these events, as was the incident earlier this year when a train got caught in a smoke-filled tunnel for hours as rescue workers were not able to help to due broken radios and other problems. In that incident, one passenger died from smoke inhalation, and many others were seriously injured. 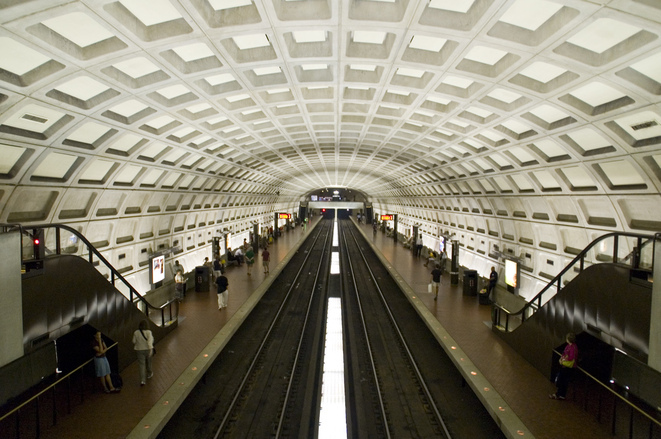 Based upon these incidents and numerous others, the National Transpiration Safety Board (NTSB) has requested Washington Metropolitan Transit Authority (WMATA) replace its oldest subway train cars and make significant other upgrades to the system. The problem, according to WMATA, is they do not have the budget to make the upgrades. To make matters worse, according to recent news feature from DCist, the system is now apparently plagued with deadly asbestos. Metro car employs seven series (models) for rail cars beginning with 1000 series cars and ending with the 7000 series car being added to the lines this year and in the future. The 1000 series cars are over 40 years old and are now know to contain deadly asbestos fibers somewhere in the heating system, though WMATA will not say where. There are approximately 280 1000 series cars on each of line of the Metro, so it is possible there are as many as 1000 cars containing asbestos. On the one hand, WMATA says the asbestos is not exposed to passengers and poses no risk, but on the other hand, they have admitted there are several 1000 series cars where the asbestos is not contained discovered in 2009, but it claims those cars were taken out of service. A spokesperson for WMATA has said they are trying to secure a certified asbestos abatement contractor to remove the asbestos from all 1000 series cars, so they can use them until they are retired. Again, it should be noted, these cars are already supposed to be retired due to safety concerns that have nothing to do with asbestos. Those interviewed in the story were surprised to learn there was still asbestos but were not surprised by new problems with Metro cars. Even though WMATA assures riders they are safe, many passengers interviewed said they would try to avoid the cars to the fullest extent possible, as they do not necessary trust they are safe. On the Metro system, each car has a four digit number displayed on the outside of the car, and, if the number begins with a one, it is a 1000 series car, so it is possible for passengers to easily identify them. They also have a different profile than newer cars on the system, but that is less noticeable than the number. As our Boston mesothelioma attorneys can explain, passengers have good cause to be cautious about the safety of these cars, because companies all over the world have been making misstatements about the purported safety of asbestos, and that has been the basis for many lawsuits.